Florence is a Bay Area grandmother with recurring breast cancer. She was first diagnosed at age 28 and underwent a mastectomy and removal of her lymph nodes. At that point, chemotherapy and radiation were not needed and Florence, with a new baby girl and two other young daughters, felt she was done with breast cancer. 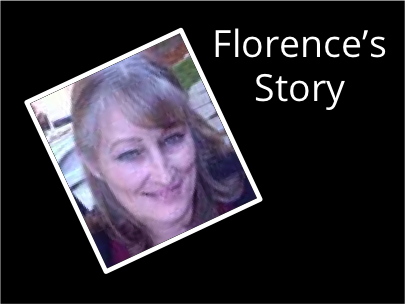 Yet thirty years later, at the age of 58, Florence was diagnosed with cancer in her other breast. It was Stage IV and had spread to her lymph nodes. The family was devastated when the doctor informed them that Florence had 3-7 years to live. Through coincidence, one of Florence’s daughters, Maria, works with one of the directors of the Lazarex Cancer Foundation, Hallie Hart. Upon hearing Florence’s diagnosis, Hallie quickly connected Florence with Dana Dornsife, the president of Lazarex Cancer Foundation. Florence began treatments in Southern California with Rexin-G in August 2007. Prior to her Rexin-G treatment, Florence had undergone one round of chemotherapy, which caused a variety of challenging side effects, including an inability to be in the sunlight or else she would faint, all of her hair falling out and disruption of her taste buds, leading to a loss of appetite. Now her hair has returned and she is once again able to be out in the sun as required by her job. Between treatments, Florence makes time for Sunday dinners with her three daughters, their husbands and all the grandchildren. “Before mom’s diagnosis, we always said we’d have dinner together, but there never seemed to be a good time. Now we make time. Every week,” says Maria.